Written in honor of all soldiers, this piece is sure to bring an emotional reaction from your audience. These heroes go out in the world to serve, dedicating their efforts, sacrificing time and even their lives to better humanity. The lonely opening lines are echoed throughout, almost representing the sound of a solitary field drum. 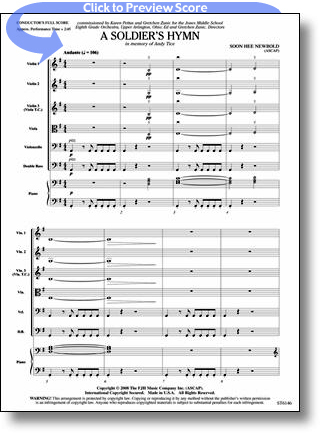 As the work builds, soaring musical lines emerge and lead toward a powerful and riveting conclusion. Spectacular and inspirational!